peter campus, Anamnesis, 1973. Installation at Culturgest – Fundação Caixa Geral de Depósitos, Lisbon, 2018. © Kathleen J Graves. Courtesy the artist and Cristin Tierney Gallery, New York. peter campus, Head of a Man with Death on His Mind, 1976. Installation at Culturgest – Fundação Caixa Geral de Depósitos, Lisbon, 2018. © Kathleen J Graves. Courtesy the artist and Cristin Tierney Gallery, New York. peter campus, Optical Sockets, 1972-73. Installation at Culturgest – Fundação Caixa Geral de Depósitos, Lisbon, 2018. © Kathleen J Graves. Courtesy the artist and Cristin Tierney Gallery, New York. peter campus, Optical Sockets, 1972-73. Installation at Jeu de Paume, Paris, 2017. Photo Adrien Chevrot © Jeu de Paume / Peter Campus. peter campus, a wave, 2009/2017. Installation at Culturgest – Fundação Caixa Geral de Depósitos, Lisbon, 2018. © Kathleen J Graves. Courtesy the artist and Cristin Tierney Gallery, New York. peter campus, ebb and flow, 2017. Installation at Cristin Tierney Gallery, New York. Photo by John Muggenborg. Courtesy the artist and Cristin Tierney Gallery, New York. peter campus, Kiva, 1971. Installation at Jeu de Paume, Paris, 2017. Photo Adrien Chevrot © Jeu de Paume / Peter Campus. 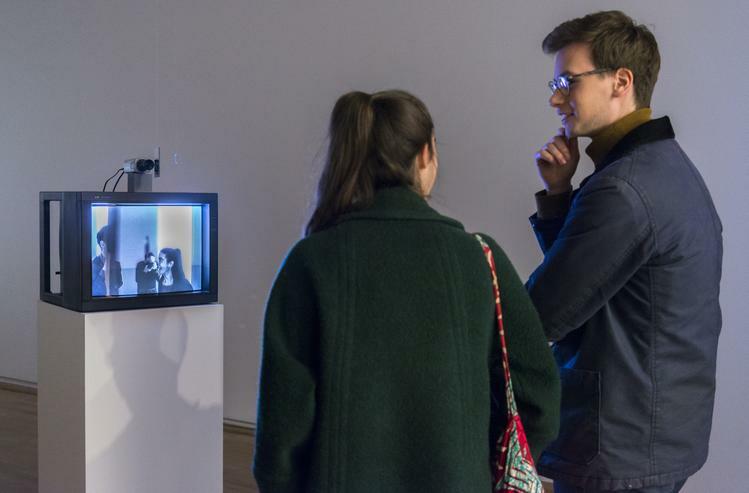 Widely regarded as a pioneer of video art, peter campus creates complex installations that engage and amuse, while leading the viewer in a journey of discovery and self-awareness. 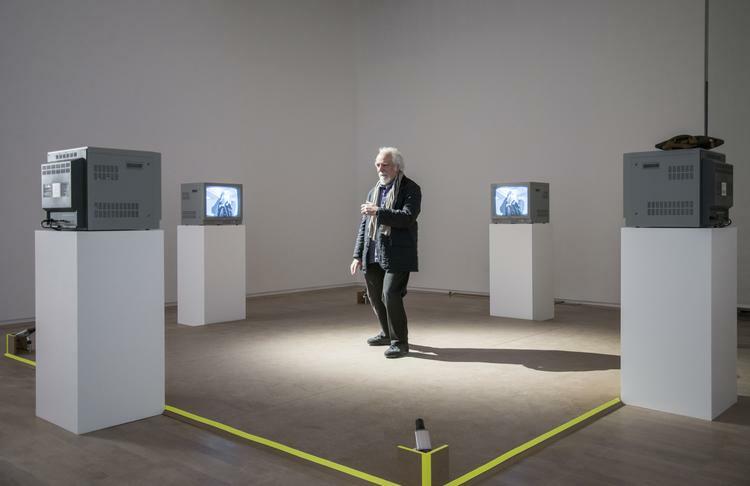 From the early closed-circuit video installations he began making in 1971 to the more recent work, campus’ entire oeuvre deals with processes of perception and vision, exploiting the specific characteristics of both the electronic and the digital image. 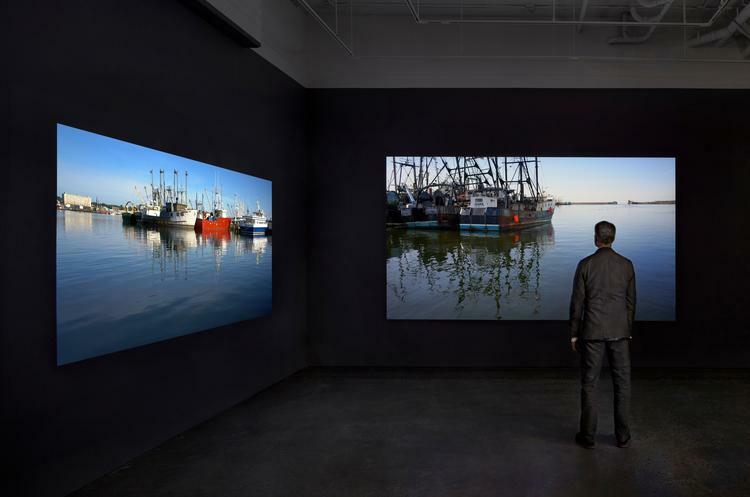 His work provides a unique experience for the visitor, who activates the work while exploring their own image. 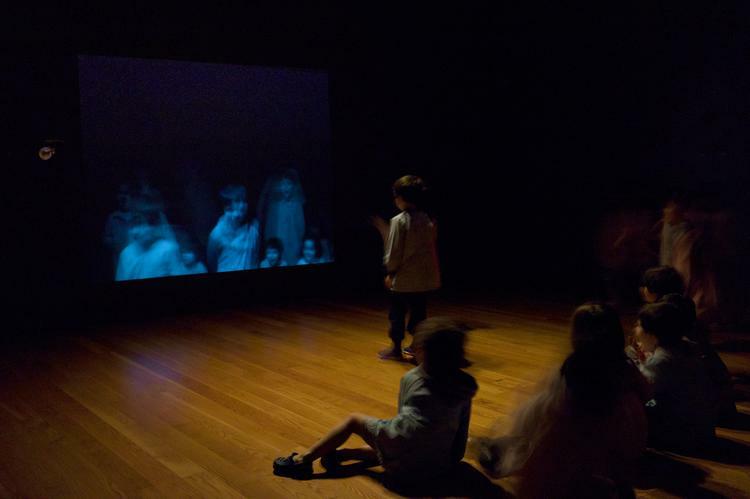 campus’ seminal interactive installations from the 1970s used live camera that reflected the image back to the viewer. campus’ work provides a constant source of mystery and strangeness for the viewer by making the relationship to one’s own image problematic. Indeed, without participation those artworks would not exist. In 1978, campus devoted his time entirely to outdoors photography, working with nature as his subject. When he returned to video in 1996 after an extended hiatus, the medium had become digital and the equipment much lighter. His video productions from this period are intimate and poetic, yet still as experimental as the earlier work. 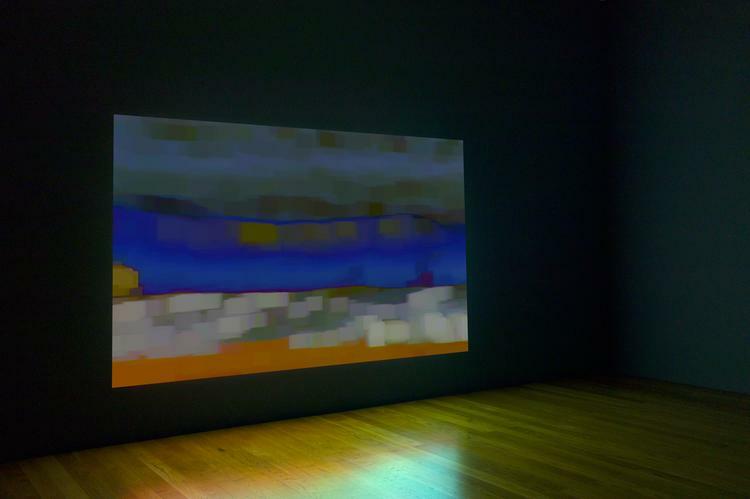 In 2007, he began creating videographs of landscapes around his familiar environment of Long Island composed of static, unedited shots. campus’ treatment of the images, at the level of the pixel, creates a certain degree of abstraction, engaging the viewer in new exercises in perception and interpretation. His intense connection to site and his attention to light, color and framing may best be seen in his most recent work. 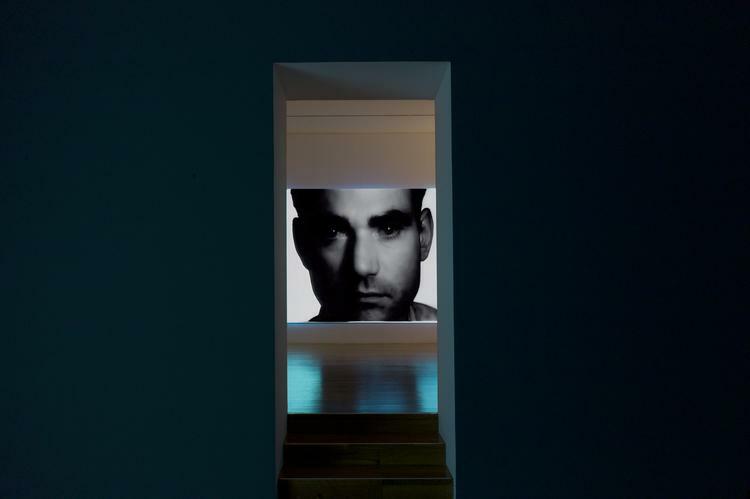 Filmed in a natural setting in 4K, ultra-high-definition, the visitor’s gaze intersects with the sensibility and emotion of the artist’s vision. A special screening of peter campus’ Head of a Sad Young Woman, 1976-77, will be on view throughout the month of March in Times Square as part of the Midnight Moment exhibition program organized by the Times Square Alliance. 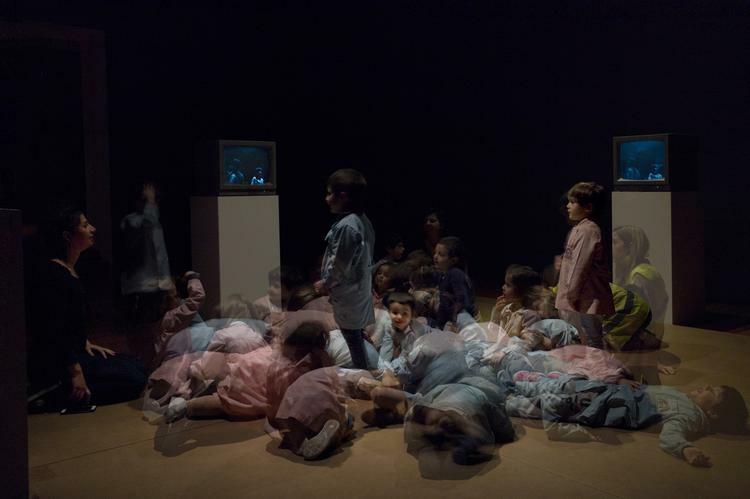 peter campus: video ergo sum is curated by Anne-Marie Duguet, and organized by Jeu de Paume, Paris, with the participation of The Bronx Museum of the Arts. Support for this exhibition has been generously provided by Cristin Tierney Gallery, Anonymous, Karen and Steven Shapiro, Clarice Oliviera Tavares, John and Barbara Vogelstein, Marieluise Hessel, and the Director's Circle, the Museum's premier support group. image problematic. Indeed, without participation those artworks would not exist. the sensibility and emotion of the artist’s vision. program organized by the Times Square Alliance.